Made4Math - Stamp Sheets ~ No Limits on Learning! 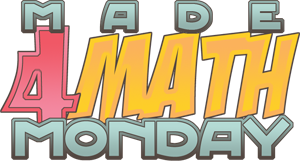 Hooray for this week's #Made4Math Monday! Thanks, as always, to @druinok for organizing our blogs and tweets! While glancing at Twitter on Sunday morning, I saw the very end of a "How can I use my new stamper?" conversation, and that confirmed what I wanted to post for today. It takes a village...or in this case, several teachers in my school plus a mathtwitterblogosphere to improve upon an idea, so thanks to many people for shaping my new-and-improved stamp sheet. Several teachers in our department use weekly stamp sheets (rather than a table of contents in a folder) to help students organize their work. Students fill in the assignments, teachers check homework/practice daily and give students a stamp, and students turn in the completed paper at the end of the week. While students work on their warm-up, the teacher walks around the room and looks at their assignment. The Algebra 2 teacher who used this sheet had two stamps, and different colors represented different point values based on completion of the work. I decided to try this idea with my ESL students, who really needed help keeping things organized, but I also wanted more space for kids to write and possibly complete warm-ups. Another one of our math teachers created something similar where the front side of her sheet was a table with Monday-Friday warm-ups, and the back side of the page was a table with Monday-Friday exit questions, and she stamped papers after completion of those problems. My stamp sheet from last year would have been just fine...until I saw what other people had created, and I knew I could do something better. I loved the Bell Work form @mathequalslove created because it gave more space for each day's warm-up. (And I loved the fonts!) @mathtastrophe's Smash stamper was a must, plus the forms and templates she and @druinok created looked so great with all of those cute fonts and formatting. Bonus idea: for the last summary question on the document, the kids respond to the questions: what are you square with, what are 3 points you want to remember from the week, and what is still circling in your mind? I downloaded at least 15 new fonts and used "Throw My Hands Up in the Air" for this document. 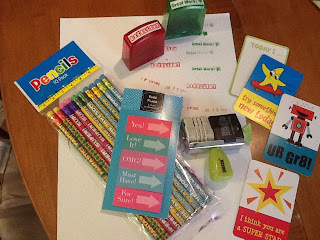 I found the Smash stamper at Target, plus I found a couple other self-inking stampers and sticky-tabs for fun. After completing my first stamp sheet, I noticed a couple things. My font may be too "scripty" for my ESL students, so I may need to go back to something more straight. In case you're wondering about my vocabulary choices, I teach a newcomer ESL class, comprised mostly of refugees. (I recently saw another math blog where the author is in the same situation, and now I can't find it! Any ideas?) We have a huge population of Burmese refugees, and last year we also started enrolling quite a few students from Nepal and Somalia. Some of the students cannot respond to "What is your name?" and none of them have ever held a TI-84. The first six weeks is always very interesting, and I can now say hello in at least 12 languages. :) But English does not look like Karen, Chin, Nepali, or Arabic, so straight fonts and big, printed letters are best! Sure you could put a check mark, stamp it, etc. but the sound / click of the hole – punch (or stapler) does something crazy and the students - especially for those who are struggling are motivated to keep on working. Weird, huh? She is so right! Last year, I used the stamper below, and it had a very satisfying sound. As soon as a student finished the classwork and practice, I stamped his/her paper. Once I started stamping papers, the kids kept working so hard so they could get their practice stamp before the end of the period. (I also stamped the participation column at the end of the period.) If they didn't finish their work, I simply stamped their paper at the beginning of the next period. Students turn in their completed sheets on Friday, and I check their warm-up and reflections for the week and count stamps for a participation grade. 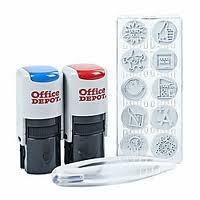 I can definitely use the Smash stamp, stickers, and flags on their papers that I check outside of class, but during class, I may stick with my old red/blue stampers from Office Depot...just so we can hear those happy sounds! I am excited about my new stamp sheet, and I am happy to have this routine ready for the beginning of the year. When I started using this strategy last February, it took a few extra minutes of class, but I thought it was a valuable use of time, helped the kids stay organized with their work, and made me more consistent about including writing and speaking in my ESL class. What do you stamp in your classroom? Do you give your students a participation grade?